Mr. Garcia is a Bilingual, Bi-cultural, Master’s-Level Therapist. 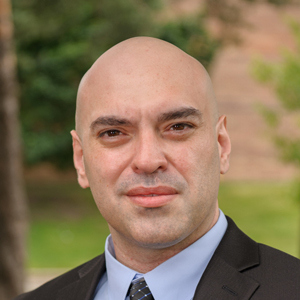 Mr. Garcia received his Master’s degree in Community Mental Health Counseling from Argosy University Chicago, in 2010. Mr. Garcia has training in Cognitive behavioral therapy and dialectical behavioral therapy treatment models. Mr. Garcia utilizes strength-based, holistic and eclectic approaches (e.g., Play Therapy, Solution-Focused, Dialectical Behavioral Therapy and Cognitive Behavioral Therapy techniques) to help his clients reach their therapeutic goals. Mr. Garcia has extensive experience with providing culturally sensitive therapeutic services to clients in all stages of the life span. He has a great ability to work with clients and families of multicultural and ethnic backgrounds. Mr. Garcia also provides therapy services in Spanish. Mr. Garcia treats children, adolescents, adults, couples and families. He specializes in treating issues with anxiety, depression, ADHD, adolescent behavior, emotional health, family difficulties, and couples/marriage counseling. Mr. Garcia offers individual, family, couples, and group therapy services. Mr. Garcia also has extensive experience providing therapy services to Spanish speaking clients. Mr. Garcia was drawn to the therapist profession by his innate skills as a helper, his love for coaching and his enjoyment of fostering growth in others. In his work with clients, he works to establish an empowering partnership that aids clients to success in improving themselves and to live happier lives. When Mr. Garcia is not mentoring new mental health professionals, or putting his knowledge to use by providing consultation services, he enjoys spending quality time with his family and friends.